The Catnip Cafe - Handmade Organic Catnip Toys a la Cat !The Catnip Cafe | Handmade Organic Catnip Toys a la Cat ! 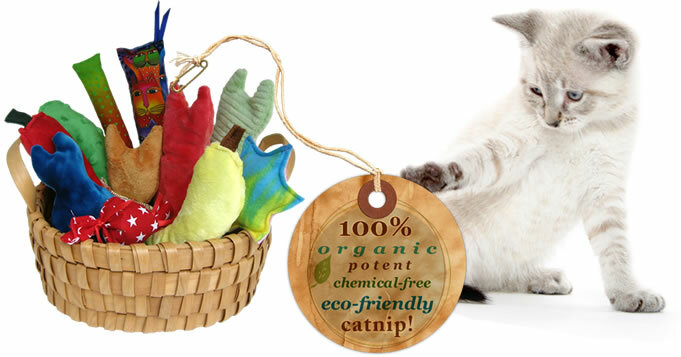 Browse our huge assortment of adorable and unique catnip cat toys and catnip-free cat toys. The Catnip Cafe was awarded the “5 Paw Approval Rating” from the Cummings School of Veterinary Medicine at Tufts University! Our cat toys have also been featured in Cat Fancy Magazine and are custom made in the USA by one craftswoman, since 1998. Visit our Cat Quilt section for Handmade & Design Your Own Custom Cat Quilts & Mats! Choose from several styles and cat fabrics.